All Wynn Bullock photographs © 2017 Bullock Family Photography, LLC. All rights reserved. For football fans, a bucket list trip might take them to the Hall of Fame in Canton. For rock fans, it could be the Rock and Roll shrine in Cleveland. 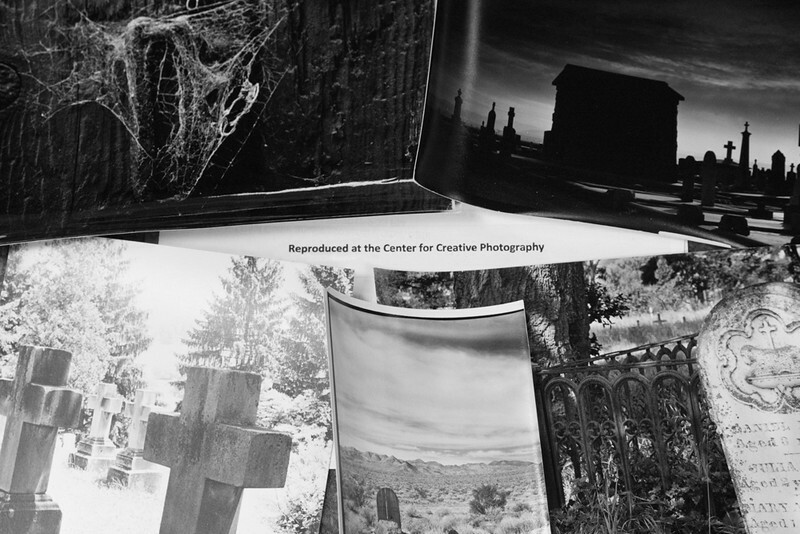 For me as a photographer, my dream pilgrimage took me to the Wynn Bullock Archive at the Center for Creative Photography in Tuscon. For one glorious afternoon, I poured through a treasury of personal artifacts and rare prints that provided a fuller appreciation for this extraordinary artist who is my favorite photographer. Wynn Bullock is considered one of the most influential photographers of the 20th Century, and his prints are represented in the permanent collections of more than 90 institutions worldwide. Together with Ansel Adams and three other prominent photographers, Bullock formed the Center for Creative Photography at the University of Arizona before his death in 1975. 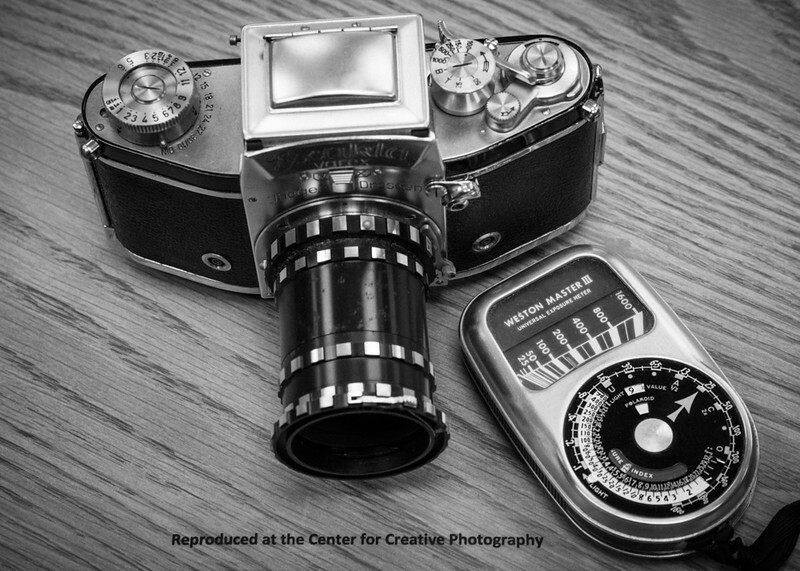 The Center is recognized as one of the world's leading study centers for the history of photography. If you want to dig deeply into the world of Wynn Bullock -- his thoughts, his tools, his work -- this is the place to bring your shovel. When I made my appointment to explore Bullock's archive, I was particularly interested in seeing his personal collection of books. I knew he was a voracious reader, and I knew that he filled his books with underlinings, handwritten notes and notecards stuffed between the pages. In one of the boxes I found a mind-bending range of books, including many by and about Albert Einstein, along with Existentialism & Human Emotions by Sartre ... The Analysis of Mind by Bertrand Russell ... Papers from the Second American Congress on General Semantics. The list goes on. The ideas in these books helped to form Bullock's views on the nature of existence. And these views, in turn, fueled a curiosity that created some of the most compelling images the world has seen. Photographer Jay Maisel said, “If you want to make more interesting pictures, become a more interesting person.” Wynn Bullock was an interesting person because he was profoundly interested in everything. 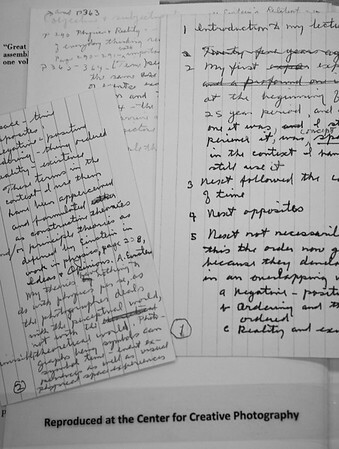 The archive also includes Bullock's diaries and other personal writings. In a binder filled with pages of his thoughts, I came across a sentence that encapsulates his artistic philosophy and explains the sense of mystery that permeates his work. 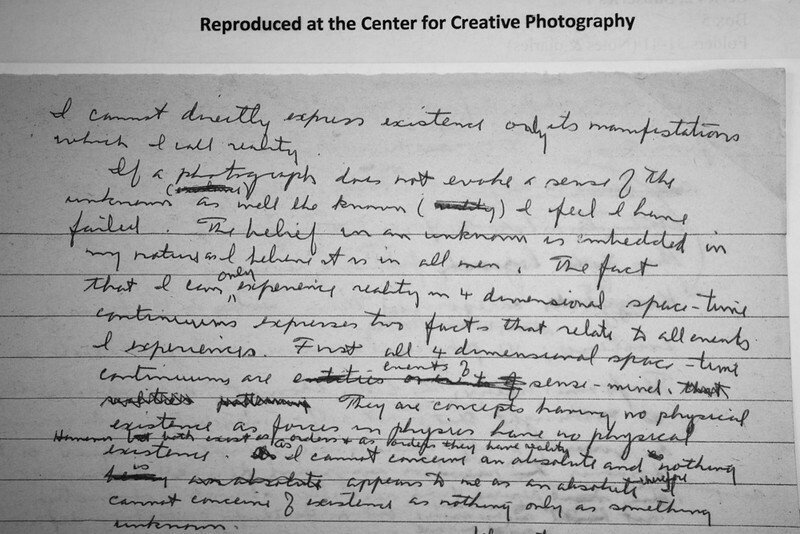 You can see it above, scrawled in his handwriting: "If a photograph does not evoke a sense of the unknown as well as the known, I feel I have failed." Bullock's daughter Barbara told me that her father would sometimes get so immersed in the depth of his thoughts that his head would start shaking intensely. He understood that there's much more to "reality" than what we see with our limited perception, and he wanted his photographs to awaken our connection to deeper ways of seeing. Read the rest of what he wrote on that page above and your head will start shaking, too. When I opened boxes that contained some of his photographic equipment, I laid the well-worn tools gingerly on the table. 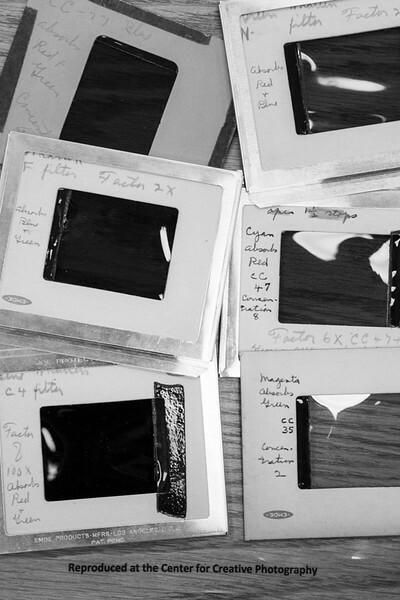 Seeing the meters, lenses, film holders, filters and other items he once held in his hands, I was struck by a paradox: photography was both simpler and infinitely more complex with the tools used by Bullock. How was it simpler? Unlike the cameras used by many modern photographers, Bullock's cameras didn't have a bottomless pit of menus and submenus to scroll through. Some high-end professional digital cameras now come with a 400-page user's manual. Why was it was more complex? 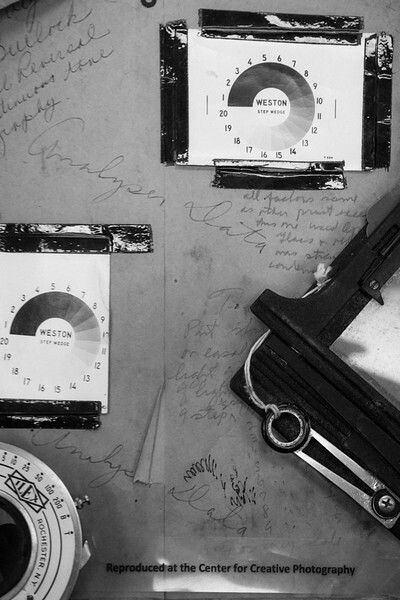 Because when using equipment that was more streamlined and without the aid of sophisticated electronic features, photographers in Bullock's day were doing more of the math in their heads to calculate exposure -- or relying on intuition and past experience. Here's how Bullock described his technique: "I don't have to worry about lighting, electronic flash, and so forth, because I don't use it. And how the exposure was determined, I have a very simple method. It's just, measure it with a Weston meter, and then give it a calculated guess from then on." Bullock liked to shoot with large format cameras, which meant he was often hauling an 8x10 camera with a bulky tripod to his favorite locations along the California coast. And while he preferred to shoot in natural light, there were times when he did need to use flash for his work, which included some commercial and portrait photography to pay the bills. 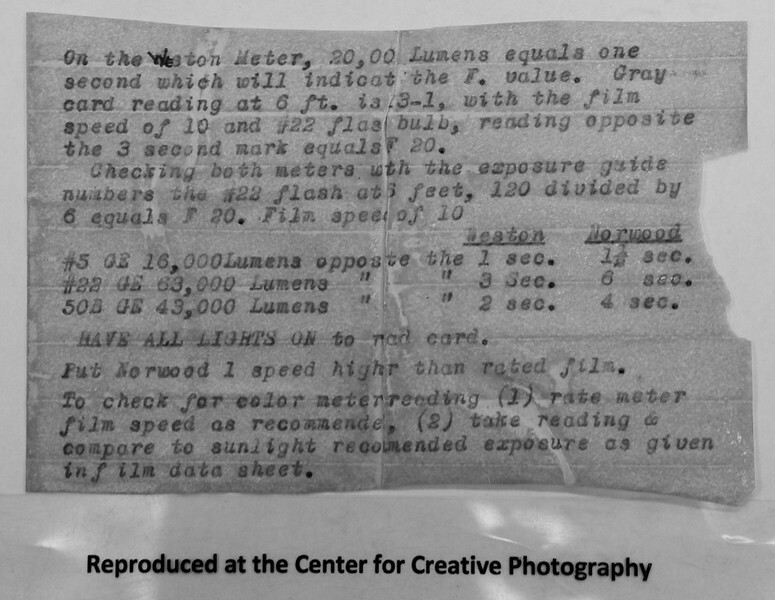 Read his notes below to see what was involved in those days before technology made the use of flash and studio lighting much easier for photographers. Finally, we come to the tangible result of Bullock's efforts: the prints that emerged from the chemical baths in his darkroom. Wynn Bullock was a meticulous craftsman who said, "I will go to any trouble to get the feeling I want" from a print. He was so specific about the mood and tones he intended for each photo, his will stipulated that no additional prints could be made from his negatives after he died. In his archive, I had an opportunity to view rare Wynn Bullock prints that are outside of his core collection of masterpiece images. This includes his early student work, commercial work, prints that were rejected by him for technical reasons -- plus a large number of study prints that don't fall into any of the above categories. Since I've been photographing graveyards as a personal project for the past decade, I requested to see a box that contained Bullock's study prints of graveyards, relics, animals, furniture and architecture. In that box, I came across study prints like the one above -- photos that could represent the crowning achievement of a career for most photographers. 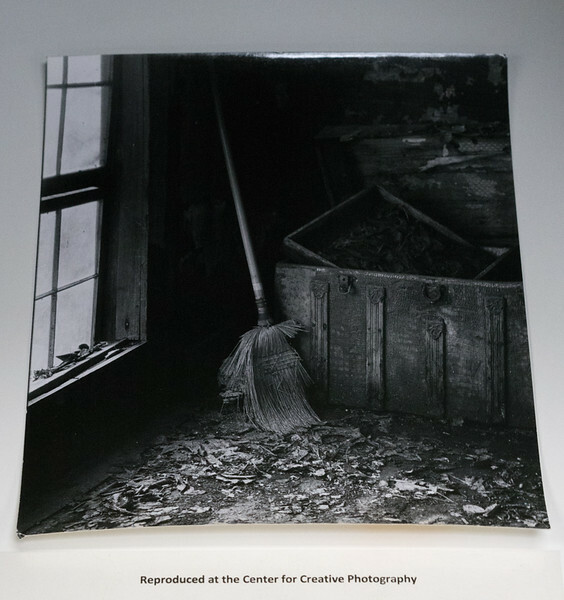 But for Bullock, they were stowed away with the "outtakes" in Box 44 in Series 4, Subseries 2 of his archive at the Center for Creative Photography. When I slid this study print out of its glassine envelope, I found a nice surprise tucked inside: a small slip of paper with these descriptive notes from Bullock. After leaving the archive, I considered the significance of what I'd seen. 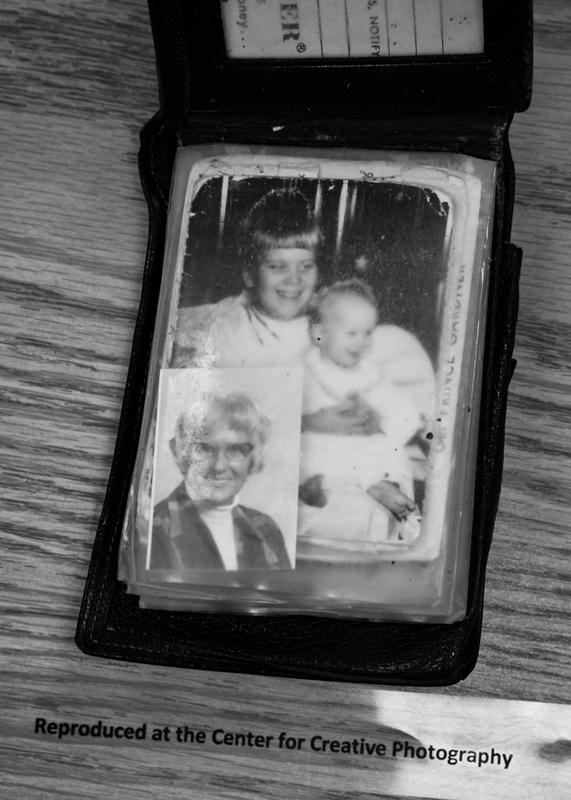 I realized what it meant for Wynn Bullock to leave his books, his notes, his unpublished photos, his equipment -- even his wallet with family pictures inside -- in an archive for us to see. His life was all about sharing. Through his photography, he wanted to share his understanding of time, space and the fleeting nature of all physical things. 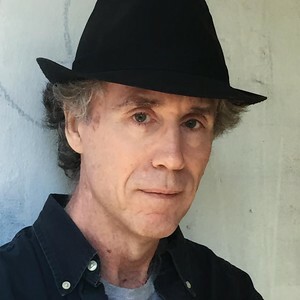 He taught and lectured extensively, sharing his ideas and photographic techniques with everyone who was interested. And now, more than 40 years after his death, he's still sharing. Click here to read an article I wrote which has been featured on the Wynn Bullock Photography website. You'll see several of his iconic photographs and learn more reasons why Bullock was one of the masters of mid-twentieth century American photography. Comments? Questions? Shoot me an email using the CONTACT page on this website. Want to be added to my email list? Just say the word. Then I can let you know when new blog articles have appeared.